In 2006 certified forests supplies was about 30 percent of the global industrial roundwood market. By 2017 this number could be 45 percent. Many forests are managed in more sustainable ways. Today such forests cover an area of more than 3 million square kilometers, or almost 8 percent of the world's forests. 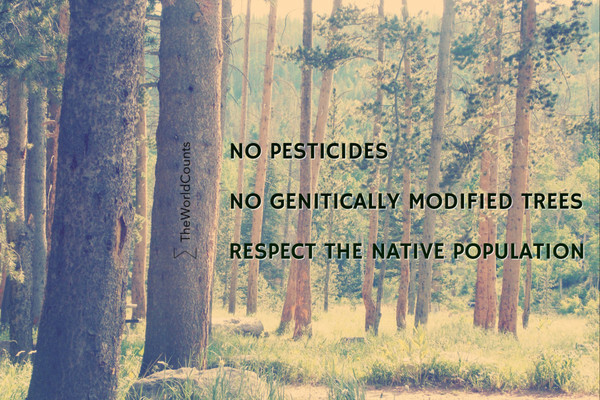 These forests make no use of pesticides, do not allow genetically modified trees, and respect the rights and homes of native people. Certified forest products include everything from furniture and kitchen ware to cosmetics and clothes. In 2006, certified forests supplied about 24 percent of the global industrial roundwood market. The Forest Stewardship Council (FSC) estimates annual sales of FSC-labelled products at 20 billion US dollars. Programme for the Endorsement of Forest Certification Schemes (PEFC) estimates that 45 percent of the world’s roundwood production will come from certified forests by 2017. Interested in more facts like the certified forest friendly products? Then plug in and subscribe to our newsletter.